80 years of fun and funding! 2015 marked the 80th anniversary of the Cadbury Foundation! Since 1935, we’ve been working hard to make the world a more joyful place. The very first grant given by The Cadbury Foundation was a donation of £40 to Stirchley Girls’ Club, recorded on the 8th of November 1935. Just like the original Cadbury brothers, we believe in ‘helping others to help themselves’. This ethos has enabled us to free the joy for charities across the UK and Ireland and has also inspired our employees to share their time and skills with the wider communities around them. In the last 10 years alone, the Cadbury Foundation has donated £8m to many well deserving causes. 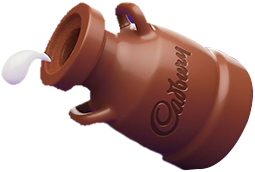 Today, the Cadbury Foundation supports a wide number of inspirational organisations, such as; The Princes Trust, The British Paralympic Association, Youth Sports Trust and Help for Heroes. Along with nationwide charities, we also focus on the passions of our employees and support local causes close to their hearts through our ‘cashmatch’ programme. Paralympics GB have a proud track record and they are working hard to ensure that the momentum created by London 2012 affects real change, lasting improvement and supports their vision to: ‘Through sport, inspire a better world for disabled people’. The Cadbury Foundation are thrilled to work alongside the team and fund Sports Fest - a series of free events that give people the chance to try out Paralympic sports. Sports Fest has become a hugely successful event and we look forward to helping more budding Paralympians take their sport to the next level. Questions about the foundation? Click here!